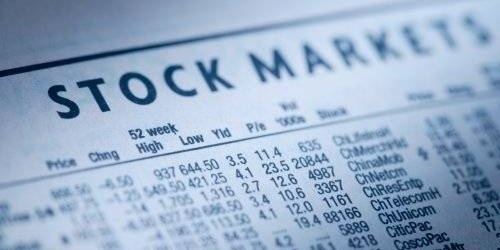 If you are looking to get into investing in stocks or just trying to understand the stock market, you might be wondering how the stock market works or what is the stock market? In order to fully understand how the stock market works, lets first go over to what actually is the stock market. So, What is the Stock Market? The stock market is a place where buyers and sellers trade stock of public companies. A public company is one that is not privately owned and in which the general public can invest in. These companies list their stock (also called shares) in the market so that the general public, including you and me, have the opportunity to invest in their company. One reason why companies issue stock is because it gives them the capital, or money, to run and grow their business. When a company wants to expand, develop new products, hire more people – it needs money. So the best way for companies to do this is by issuing stock shares. Investors who own stock are referred to as “shareholders” or “stockholders.” Shareholders hope the companies they invest in go on to grow and earn money, because the value of their stock will rise in value as the company grows. But, if the company they buy stock in loses money, however, then the stockholders will lose money as well. For example, imagine there’s a company called Tech Inc. that makes all kinds of gadgets you like to use. If you think it would be a good company to invest in, you can buy shares of Tech Inc. stock. As long as the company is growing & generating profits, the shares you bought will most likely increase in value. But if the company takes a downturn and begins to lose money, you’ll most likely lose money right along with it, as other investors sell off their stock and the value of the stock falls. What is the Stock Exchange and how it works? The stocks of companies are listed on a stock exchange. The stock exchange brings buyers and sellers together and is part of the overall stock market. An exchange is an institution or organization which hosts a market where stocks are traded, such as the NYSE or NASDAQ. The purpose of a stock exchange is to facilitate the exchange of securities between buyers and sellers, thus providing a marketplace. 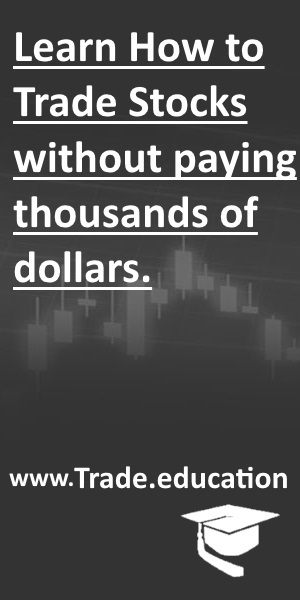 Stock prices are simply established through supply and demand. A dedicated network of traders, brokers, and specialists ensures that buy and sell orders are executed in a timely and professional manner. The exchanges provide real-time trading information on the listed stock. Exchanges impose rules and regulations on the firms and brokers that are involved with them. If a particular company is traded on an exchange, it is referred to as “listed”. In the United States, a company will most likely have their stock listed on the New York Stock Exchange (NYSE) or the NASDAQ, which are the biggest and the most commonly used stock exchanges in the USA. Companies that are not listed on a stock exchange are traded on the OTC (Over-The-Counter). Companies that have shares traded on the OTC are usually smaller and riskier because they do not meet the requirements to be listed on a stock exchange. When you buy stock it is through a broker. The broker gives you access to the stock market so that you can buy or sell shares of a company. So when you purchase stock, you rarely buy it directly from the company that issued it. You usually buy it from another investor like yourself. A brokerage firm is basically a dealer of stocks that acts as your agent when you want to buy or sell stocks. If you’d like to buy or sell a share of stock in any publicly traded company you’ll most likely need the services of a brokerage firm or a broker. For example, when you want to buy groceries, you go to the grocery store. When you want to buy a computer, you go the electronic store. And when you want to buy stocks, you need to do business with a broker. Setting up a brokerage account is very simple. You just have to go online as there is a variety of online brokers. >> Read more on choosing the right broker.